Not so for Minimax. 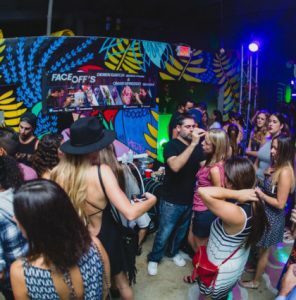 The Miami-based event company knows that, especially in the south Florida scene, it’s easy to just bring in the hottest pop or EDM stars and throw a huge party with bottle service and Instagram models. But Minimax is trying to build something different, something more sustainable, and frankly, something much better. Instead of living with the boom and bust cycles of most Miami promoters dependent on the next name they book, Minimax has carefully cultivated a brand reputation for creating some of Miami’s best experiences. 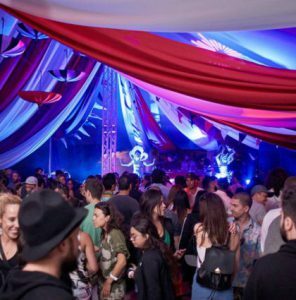 Then, they’ve taken that platform and given it to artists who are looking to expand their audiences, as well as bringing in a more interactive experience for party-goers. This kind of brand building takes a particularly strong and distinct creative vision though. For that, Minimax has creative director Richard Barrenechea. We spoke to him about what he does to make the Minimax experience as stunning and comprehensive as possible, as well as how he sees Miami’s changing music landscape moving toward the Minimax model. Minimax seems to do more than the average promoter for its events. Can you give us a bit of the scope of each project you take on? Initially, we seek out interesting locations where the event will take place. Once that’s secured, we call a team meeting to determine themes and overall concept. That is when we begin programming the music, artists, and interactive entertainment that will help define the ambiance. Our production team plans the execution of the concept while are marketing team works on the story and messaging required to create awareness and excitement. Many of our events take weeks of planning and multiple days to bring the concept together to make them truly memorable experiences. 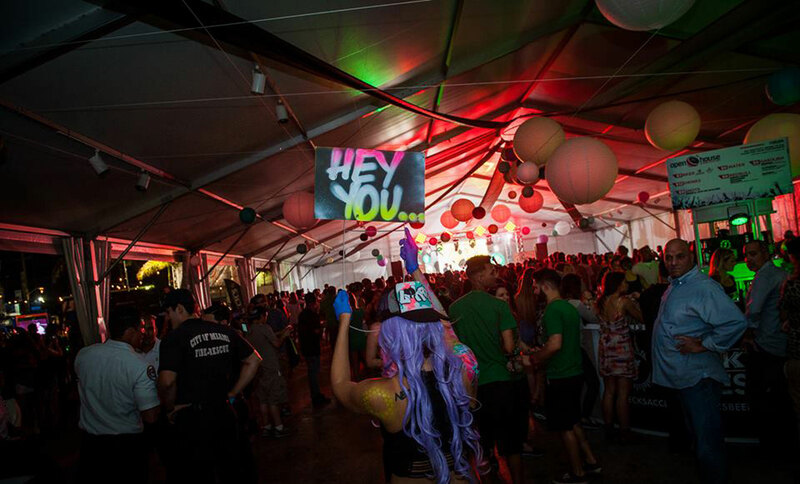 Some would say that Miami is the dance music capital of the US. Among such quality, how to do you keep your events exciting and fresh? We have always had the vision to stand out amongst the sea of events and organizations in Miami. When it comes to music, we have always enjoyed the more obscure takes on dance music. We realized after a couple hundred bookings that promoters who were pushing a similar sound were focused solely on bringing in the artists and not creating a memorable experience. 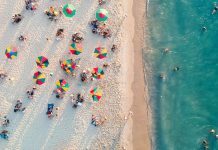 In Miami, where there are easily three to five international touring acts happening on any given weekend, we felt that the events were repetitive and there wasn’t anything notable to remember experiences. So we decided to research experiential components for our events and a way to provide interactive installations to elevate the experience. Miami is one of those places where there is always a party. We moved away from doing regular weekly programming and started planning bigger, less frequent events. We constantly push our team to come up with elaborate concepts, so we can create immersive decor and interactive entertainment around the concept. We always approach individuals from our local community to help create a more inclusive experience. For someone attending your event, what do you hope they come away thinking? You are only as good as your last event, so we want attendees thinking about the next one. We assemble large teams to create our events and we provide our team creative freedom to make their and our dreams come true. If people walk away thinking, “Wow, they really went above and beyond to create that environment,” that’s what makes it all worth while. What’s behind the name “Minimax”? We do things differently so we have always been underdogs in a way. In a city where everyone is bringing huge bookings because they sell out shows we focused on musicians and artists that we truly respected, loved and felt they needed to perform here. By taking these acts and creating something larger than life around them, we were able to take their minimal audience and maximize the visibility for the music we love. What venues and spaces do you particularly like working at? We have a keen eye for venue discovery. We have turned an empty parking lot into a circus, an abandoned block into an interactive event space and one of the largest street art displays during Art Basel. Another time, we took over a park and created a day party experience aiming to bring the kid out of our audience. These blank canvases are what get us the most excited. It gives us the ability to make something that will truly stand out and be memorable. Where do you see the Miami music scene going? Clubbing culture has changed dramatically over the past few years. EDM parties used to dominate and techno events were in underground venues, but now there is definitely less EDM and more house music and techno events. Overall, the old idea of going out clubbing a few times a week is a downward trend. Audiences are looking for more interaction, more inclusiveness instead of the exclusivity, and for new, memorable places to see. Any exciting new artists or trends you see coming? We see two main trends emerging at the moment. There is a huge push for artists that have true musical backgrounds and artists crossing boundaries of sound. With the explosion of EDM and automated DJ and production software, the musicality kind of lost itself in the music over the past years. Now, it’s great to see trained musicians, making totally computerized music, but with a trained approach to their sound and production. We’re seeing sounds that were long-gone like breaks, electro, experimental, and dub. Lastly, another trend that has been emerging is the Romanian sound. Which is essentially minimal house/techno layered with more organic and acoustic sounds. There’s quite an exciting slate of September events coming up. What are you most looking forward to about them? This September we are doing a lot of great collaborations. We’re working with our friends Humans Alike to bring one of our favorite DJs, TIGA to Heart Nightclub. Also, we’re working with Pl0t to bring the Innervisions’ secret weapon, Marcus Worgull. 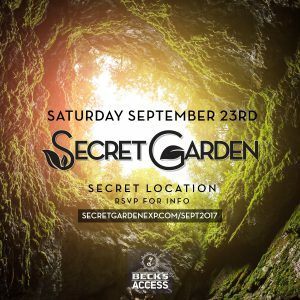 Finally, our flagship event—Secret Garden—is coming back to Wynwood and presenting a secret venue that won’t be announced until people RSVP to find out. When you’re not at work, what are you favorite things to do in Miami? We are usually in Wynwood enjoying great craft beers, checking out art galleries, and eating some of the great food it has to offer. We like to explore other neighborhoods and get a sense of the community and different cultures we have here. So much great food you find when you are off the beaten path, even though Miami is our home… we keep exploring and finding new amazing things every week.